A growing number of major retailers including H&M, Tesco and Primark are sourcing textiles and clothing from Ethiopia, as the country's industry undergoes a major expansion programme. Hennes & Mauritz (H&M) became the latest high street giant to begin purchasing textiles and garments from Ethiopia in November. The Ethiopian Textile and Garment Manufacturers Association (ETGMA) revealed to just-style that the Swedish retailer is now sourcing knitwear from the MAA Garment & Textile Factory, based in Mek'ele in northern Ethiopia, and part of the Kebire Enterprise group. UK retailers Tesco, George and Primark also began sourcing from Ethiopia earlier this year. Fassil Tadesse, president of ETGMA, said he believes more top retailers will source from Ethiopia in the coming years, adding that the UK now accounts for 10% of Ethiopia's textile and garment exports, with other countries in Europe taking 50% and the US taking 40%. 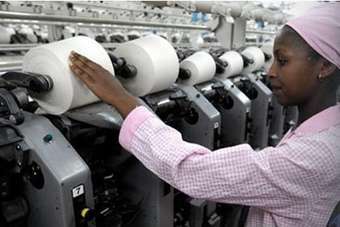 Ethiopia's textile and apparel exports for the 12 months to the end of June 2012 grew 28% to US$84.6m, according to Tadesse. However, he admits this is way behind the industry target of US$150m, adding that meeting the target of growing exports by 60% to US$212m for the 12 months from July 2012 to June 2013 will be "very challenging." The textile and garment sector is under growing pressure to expand more rapidly - with the Ethiopian government setting ambitious goals for the industry. In 2007 it set a target for the industry of increasing its annual earnings to US$1bn by 2016. It also said that it hoped to attract foreign direct investment worth US$1.6bn to build 191 new textile and clothing plants during that time. Tadesse says these goals are "on track," with a growing number of manufacturers from overseas, especially Turkey, India and China, investing in the country, as well as an increasing number of local companies. Ayka Addis, an integrated textile and garment plant established in 2007 as a subsidiary of Ayka Textile Industry, one of Turkey's leading clothing and textile companies, is now operating at a capacity of 46,200 garments per day, according to Ethiopia's Textile Industry Development Institute. Tadesse says several other major overseas textile and clothing companies are set to invest heavily in Ethiopia over the next few years. However, he admits that the global economic downturn had led to slower growth for the industry over the past year, and that the speed of the industry's development needs to increase in order to meet its targets. That said, Ethiopia already produces a wide-range of products: T-shirts, polo shirts, sportswear, pyjamas, military uniforms, workwear, corporate wear, and woven and knitted fabrics, as well as home textiles including towels, bed sheets and fitted sheets. And Tadesse notes that over the next five years, the industry is planning to expand into ladies' fashion. "We are aiming to produce sophisticated fashion for top labels. We also want to develop our own brands." A key element of the industry's expansion is to increase the volume of cotton produced in the country. "There are 3 million hectares available for cotton farming in Ethiopia, but only 30-40,000 hectares are currently being used [around 1% of the available land]. We want to produce much more cotton, but also continue to add value to it through manufacturing, so that we grow in an integrated way." Worku Zewde, general manager of Ethiopian knitted sportswear specialist Knit to Finish, says the low supply of cotton available in Ethiopia is creating challenges for companies such as his. The cost of importing raw materials, combined with increasing wages as Ethiopia's economy develops, means that Ethiopia still faces strong competition from Asian manufacturers. Zewde says wages at Knit to Finish had increased by 50-100% over the last three years. "This, combined with the comparatively low volume of raw materials in Ethiopia, is a concern." However, Zewde says Knit to Finish continues to benefit from the African Growth and Opportunity Act (AGOA), a preferential trade agreement between the US and 37 Sub-Saharan African countries covering a wide range of African exports. All Knit to Finish's products are manufactured for the US sportswear brand Champro Sports, with Knit to Finish currently producing around 7,000 garments per day. 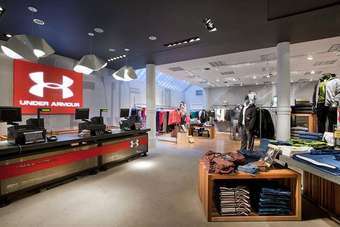 It is aiming for an increase in sales of 25-30% next year. "AGOA is still benefiting the Ethiopian sector, and it is vital it continues," Tadesse adds. "It helps provides jobs, which helps keep the country stable. It needs to be extended beyond 2015 [when the current agreement is due to expire]." He anticipates no major policy changes affecting the clothing and textile industry under the new Ethiopian Prime Minister Hailemariam Desalegn. The previous Ethiopian premier, Meles Zenawi, died in August after governing the country for 20 years. The Ethiopian government has over recent years implemented a range of policies designed to benefit domestic textile and garment manufacturers, as well as encourage inward foreign investment.